The Good: It’s a Jack Reacher novel. If MacGyver and Jack Bower could have a kid, it would be Reacher. The Bad: I liked the first book, Killing Floor better. Lee Child is an amazing writer, but this wasn’t one of his best stories. 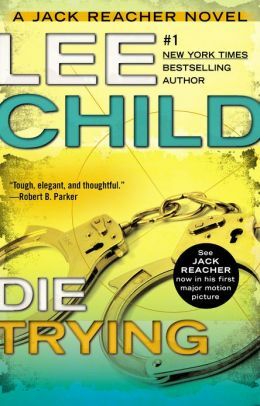 For the first 75% of the book it seemed to me like Reacher was just along for the ride. “Come ON,” I kept thinking, “Kill somebody already!” Then he did, and I was happy again. The Ugly: Unlike Killing Floor, I ended up skipping some of this book. It’s worth the read to stay with the series, just not my favorite by Child. For a series that improves with the second book, try Bizarre Bible Stories! 2.